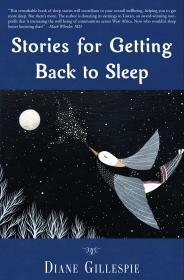 Saturday, Dec. 1, 2018, 4 – 5 p.m.
Join IAS Emerita Professor Diane Gillespie for a reading from her book Stories for Getting Back to Sleep. Educational psychologist Diane Gillespie, PhD uses her knowledge and understanding of stories to craft sleep scenarios designed to help people fall back to sleep in the middle of the night. The stories are set in relaxing places conducive to sleep: cozy mountain cabins, luxurious spas, a tropical beach, an overstuffed chair in a Victorian Bed and Breakfast. In each story, the character secures her surroundings. Through the process of attending to peaceful details in the setting, readers relax their bodies, let worries float away and sink deeper and deeper into stillness—until they are sound asleep. All profits go to Tostan, an award-winning human rights based nonformal education program working across six West African countries. Books will be available for sale and signing.